A highly strategic, kitty-powered version of Russian Roulette. 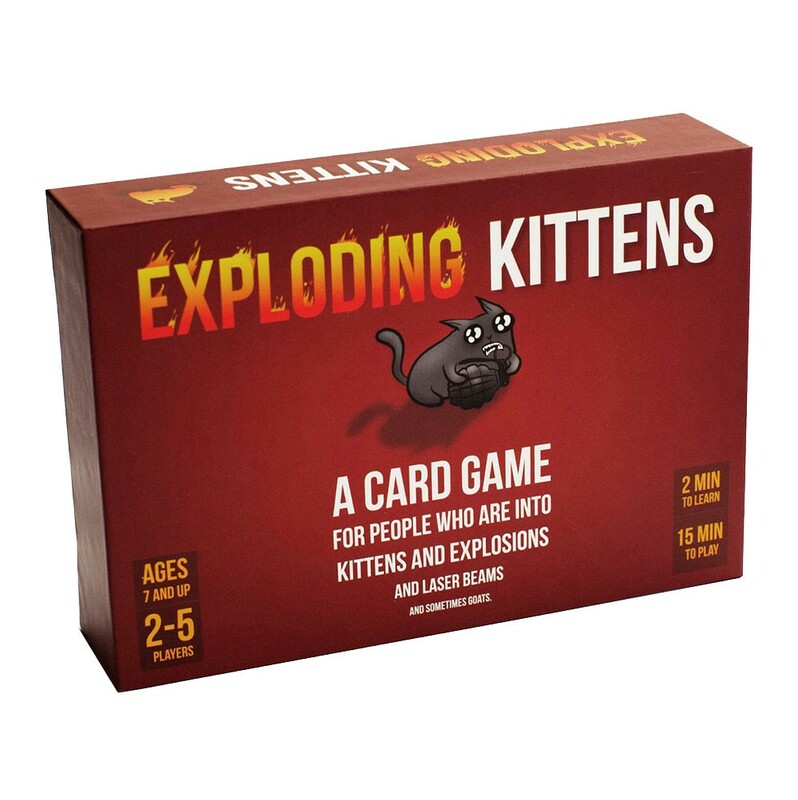 Draw cards until someone draws an exploding kitten at which point they explode – out of the game. Utilise other cards in the deck to move, mitigate, or avoid exploding kittens.